!! 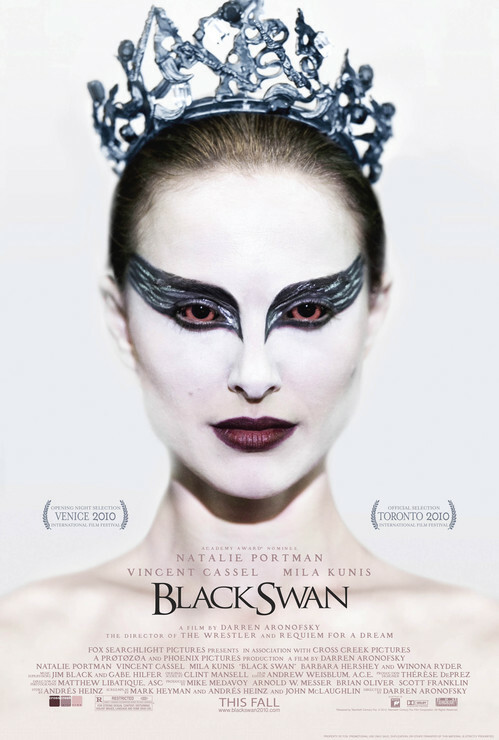 OMG, a contest: Win two tickets to the premiere of ‘Black Swan’ !! OMG, you could win a pair of tickets to the New York premiere screening of Black Swan on Tuesday November 30th! turns out to be a part for which she becomes frighteningly perfect. Black Swan opens in select theaters December 3. THE CONTEST: Transform yourself into a Black Swan and send us the final result.This could be a photo of yourself with Black Swan make-up, a fantastic Photoshop transformation of your photo, an instructional YouTube video, etc. Be creative! THE RULES: Email your submission along with your full name, address, and phone number to [email protected] by 11:59pm EST on Sunday November 28. * Travel and accommodations are the responsibility of the winner. As usual, the contest results will be announced on our Twitter Feed. Please follow us here. **Join our !! omg contests !! group to be the first to know when we post a new giveaway. 3 Comments on "OMG, a contest: Win two tickets to the premiere of ‘Black Swan’"
I saw a pre-screening of this film with the producer, and it is an absolute trip. Whether or not you win tickets, you should go see it – the entire cast is mind blowing and the director and producer worked ridiculously hard to have this film make it to theaters. There was a long period of time that it was completely unfunded, and it would have been a shame if it had never had the chance to be shown. It’s fair if you’d like to fly to New York to see the movie! Unfortunately no film will ever premiere in Portland, so these types of prizes will always involve some travel if you live in another city. Sometimes we have L.A. premieres for those of you on the West Coast. I would recommend joining our !! omg contests !! group do you can be in the know as soon as the giveaways are posted. Often we give away prize packs that can be sent to anyone in North America, so look out for those as well! Well, this isn’t fair to those of us who live outside New York, is it?